The multifarious activities falling under the category of performing arts like dance, drama, music, puppetry, choir singing, mimicry, script writing, nukkad natak etc. 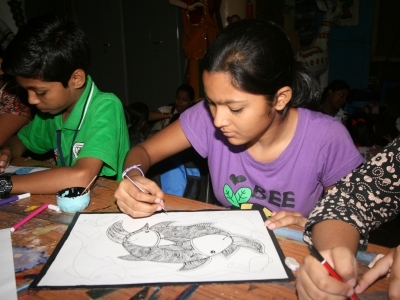 attract children from all strata of society and give them plenty of exposure. 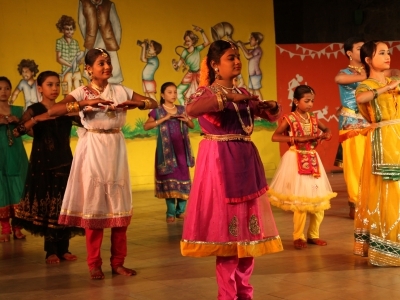 Activities like creative dramatics provide children with a wide range of activities, from creative thinking process to writing of scripts & dialogues, selection of roles, preparation of costumes, designing of sets etc., all leading to the actual performance or production. 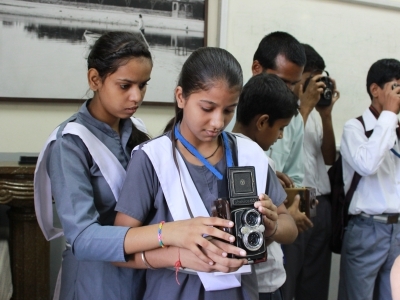 In photography, children are taught about the technicalities related to photography such as the technique of handling the camera with all its components and functions, focusing the object, handling the camera in different types of lights with different kinds of films. Besides this they are made to understand the importance of choosing the right subject, making the best use of available and artificial light, selecting the correct shutter speed, the correct exposure, uses of different filters, choosing the right angle from which to take the photograph etc. Temporary exhibitions, where theme based exhibitions are mounted from time to time. The following are the permanent exhibitions, which constitute the main attractions of the Museum. Hamara Bharat presents a panoram of Indian life, its throbbing culture, rich art and craft, diversity of rituals and religious, glimpses of our rich culture and advancements in the fields of Science and Technology. Created by Smt. Sushila Patel Gokhale this gallery consists of a series of miniature dioramas depicting India’s glorious past, its culture, its battles and victories, its legends and customs, its struggle for freedom, its social reforms, its great leaders and above all its all-pervading spirit of unity in diversity. 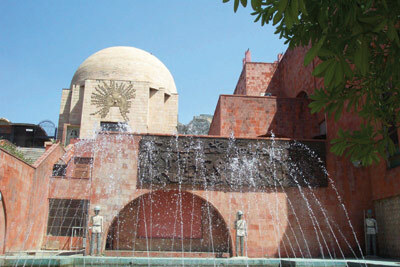 Installed in 1996-97 the Surya or the ‘Sun’ gallery, is the one of its kind in India. It depicts the ‘Sun’ not only in the context of the Indian culture but also embracing the concept of the ‘Sun’ in other countries /civilizations, where it has been glorified, namely, Egypt, Mesopotamia, China, Greece etc.